How Far is DJS Homes Fortune Heights? We are eager to Lauch Our Prestigious Project "FORTUNE HEIGHTS" from DJS homes, BOWRAMPET.we are coming in the market to deliver top notch developments as apartment's and villa's. Our Prestigious venture is a residential apartment which ascends to 5 stories and features 48 luxury 2bhk incorporates conveniences like every minute of every day water supply, uninterupted Power, round the clock security, RO water facility,club house/indoor games,gym and kids play area. Clinging to DJS homes of value and responsibilities, fortune heights is designed to allow maximum nature light and ventilation to each home. 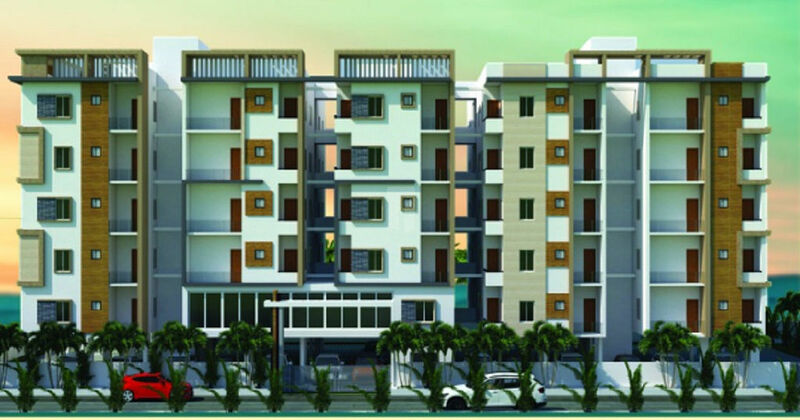 Each 2bhk flat estimates 1122sft. making for a spacious, luxurious and eco friendly apartment. Teak wood frame and aesthetically designed door shutter with good quality hardware. Glazed ceramic tiles dado up to 7' height in toilets of reputed make. UPVC for plump lines. All CP fitting of reputed make. Sanitary ware of reputed make with hot and cold mixer with shower. DJS HOMES Founded in 2018 by the eminent personalities of the real estate industry with great market strength and deep consumer insight. We are passionate in providing cost-effective and holistic solutions for our customers while creating and adding value for our partners and stakeholders. DJS HOMES stands tall on the foundation of its values — values of delivering quality and excellent real estate spaces, ensuring customer satisfaction, and redefining lifestyle of people. DJS HOMES successfully offers its customers wide range of residential complex with exceptional amenities at a reasonable value.